BOOST YOUR WEBSITE SEARCH ENGINE RANKINGS WITH THE HELP OF High Authority Manual Link Building. NOT ONLY THIS, YOU WILL BE GETTING 5000+ TIER 3 BACKLINKS DRIPFEED FOR 10 DAYS FOR THAT QUICK RANKING BOOST. 5000+ TIER3 BACKLINKS FOR YOU'RE TIER2 ON 10 DAYS DRIPFEED | PERFECTLY SAFE AND PASSES LINK JUICE. Platforms- Blog Comments, Forum, Guestbook, Image Comments, Micro Blogs, Trackback, Url Shortners. Why Should You Take Our Service? High Quality Web 2.0 Profiles. We Use 3 Layer Link Building Strategy To Boost Your Tier 1 And Money Site. We Only Use High Authority Sites For Link Building (Web 2.0s,Edu, Bookmark,etc). We Provide Full Link Report With Login Details Where Ever It Is Possible, Except Tier 3 links as they are build in DripFeed. – What is the TAT (Turn Around Time)? 4 To 5 Days And Depends On Your Order Quantity. – Can I Order More Than One? – How Many URLs And Anchors Can I Use Per Package? 1 Url And 1 Main Keyword With 5-8 Other keywords You Can Use Per Package. – What Niche Do You Accept? We Accept All Niches Except Adult. Ranking Jump Proof before launching the service. 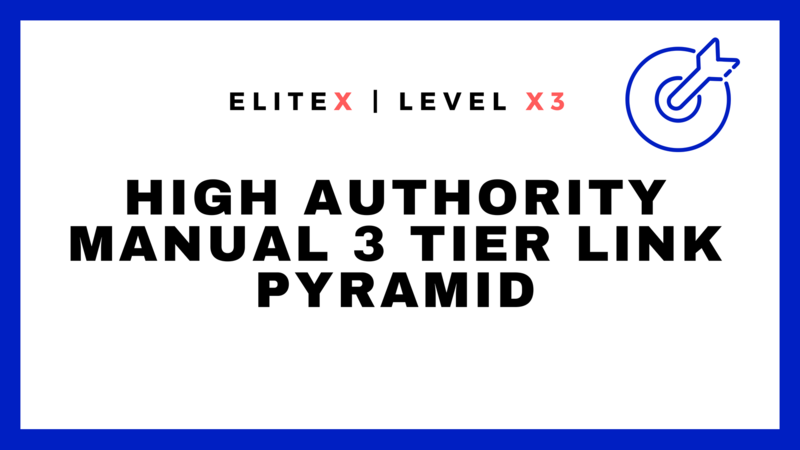 EliteX Google #1st Page Pusher - High Authority Manual 3 Tier Link Pyramid is ranked 5 out of 5. Based on 37 user reviews.